Gossip Girl star Chace Crawford has recorded a PSA for a new initiative that is collecting jeans for homeless teens. Teens For Jeans is a campaign being launched by launched by Aéropostale and Do Something that encourages young people to give back. To take part in the campaign, just drop off your old jeans to any Aéropostale store between January 26th and February 22nd and they’ll make sure they get donated to a local homeless shelter or charity. And to say thanks, Aéropostale will give you an additional 25% off your next pair of jeans. The campaign also ran last year and collected over 125,000 pairs of jeans. This year they hope to double that amount. 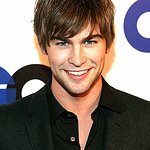 For more info – and to watch Chace Crawford’s PSA featuring some hilarious outtakes – visit the Teens For Jeans website.